Who is Melanie Lynskey, Is She Engaged or Dating Anyone, How Much is She Worth? New Zealand actress Melanie Lynskey has worked her way to prominence through her unique approach to acting. She has won several awards and lots of nominations over the years of her blossoming career and has continued to excel in the industry. She is known for her roles in movies like Sweet Home Alabama, Shattered Glass, Flags of our Fathers, and many others. She is also popular for her role in comedy series Two and A Half Men as Rose, a role which earned her lots of recognition and greatly boosted her career. It will be interesting to find out more about the life of the talented actress. To do this we would answer some of the frequently asked questions about her. She was born on May 16, 1977, in New Plymouth, New Zealand to her parents; Kay Lynskey, her mother, and Tim Lynskey, her father. Unlike some of her counterparts, her parents were not in any way tied to showbiz. Her mother worked as a nurse and her father as an orthopedic surgeon. She attended New Plymouth Girls’ High School. While in high school she participated greatly in her school’s drama group and was involved in a lot of plays. She proceeded to Victoria University of Wellington after high school. Lynskey greeted the screens at the age of 16 with her role in Heavenly Creatures as Pauline Parker. For her remarkable role in the hit movie, she was named the Best Actress at the 1995 New Zealand Film and Television Awards. Her next appearance was in the Independent drama, Foreign Correspondents. Melanie Lynskey made her way to the big screens in 1998 in Ever After, a Cinderella story. She starred in Sweet Home Alabama alongside Reese Witherspoon and went on to star in other movies. Lynskey starred in more and more movies until she landed the popular role of Rose in the CBS comedy, Two and a Half Men. Afterward, she landed lots of supporting roles in movies. One of them include war drama Flags of Our Fathers, an adaptation of the book of the same name based on the 1945 Battle of Iwo Jima. Lynskey was praised for her performance in the movie. Away We Go (2009) was another movie which earned her critical acclaim. The year 2009 also saw her appear in other notable movies like Leaves of Grass, and Up in the Air which earned her lots of recognition and accolades. She appeared occasionally at The Thrilling Adventure Hour, a podcast which ran from 2005 to 2015. Melanie Lynskey starred in Helena from the Wedding in 2010 and was also hailed for her performance. In 2012 she starred in Hello I Must Be Going and also appeared in Seeking a Friend for the End of the World. Also in 2012, the talented actress starred in an airline safety video for Air New Zealand. In 2015 she appeared in the ‘Waiting on Love’ music video by Nicki Bluhm and The Gramblers. Reports had it that in June 2018 Lynskey became a member of the Academy of Motion Picture Arts and Sciences. Also in 2018, she starred in Sadie an Independent drama. Personal life – Is She Engaged or Dating Anyone? Melanie Lynskey has quite an interesting personal life that never escapes the grips or gaze of the media. 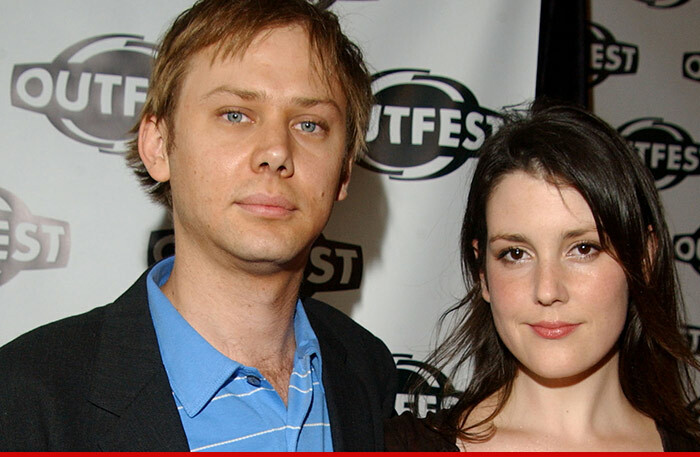 The actress was married to American actor, Jimmi Simpson. The two met on the set of Rose Red in 2001. They had started out as friends before they grew to lovers. Lynskey and Simpson became engaged in 2005 when the actor popped the question. They tied the knot in April 2007 in Lake Hayes in New Zealand. However, in 2012 the actress filed for divorce from Simpson citing irreconcilable differences. The couple finalized their divorce in 2014 and went their separate ways. After the divorce, Lynskey began another relationship with Jason Ritter, also an actor. The two became engaged in 2007 and have been together since then.